14/15 Star to 8087 Pte M Buchannan. Is it not Hugh Buchannan? 1st Bn BW arrived in theatre 02/06/1915 then later transferred to the MGC. Last edited by Deeko; 22nd February 2019 at 04:23. 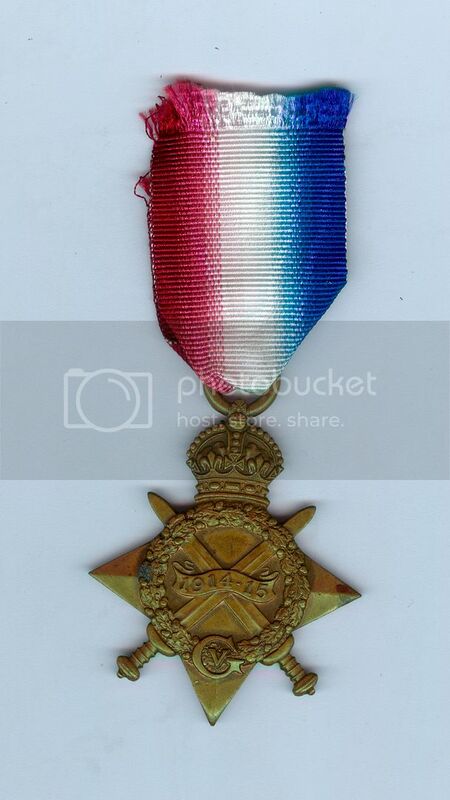 Single British War Medal to Pte S/17019 R. Scott Royal Highlanders. Have not found anything about him yet. He served abroad (post 1915) in the 2nd, 14th and 1st Btns respectively. 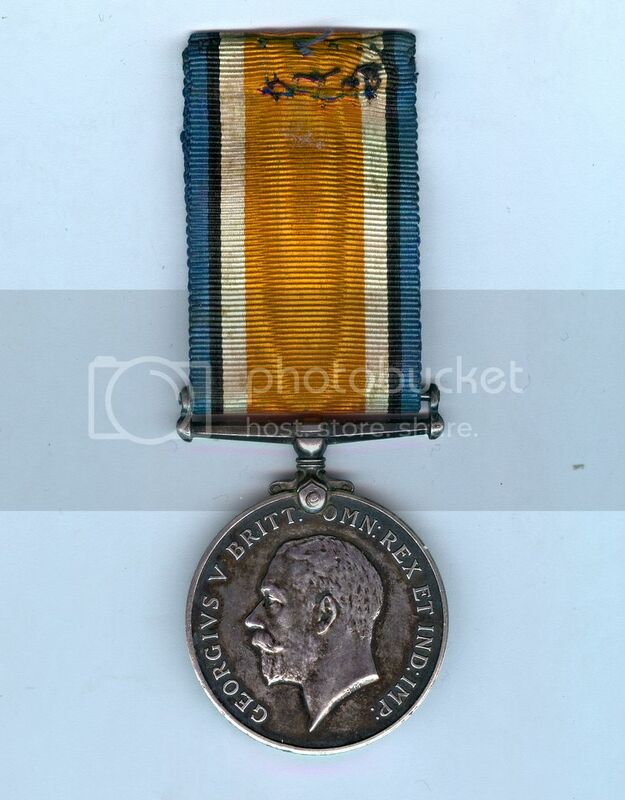 Another 1st Bn silver prize medal. 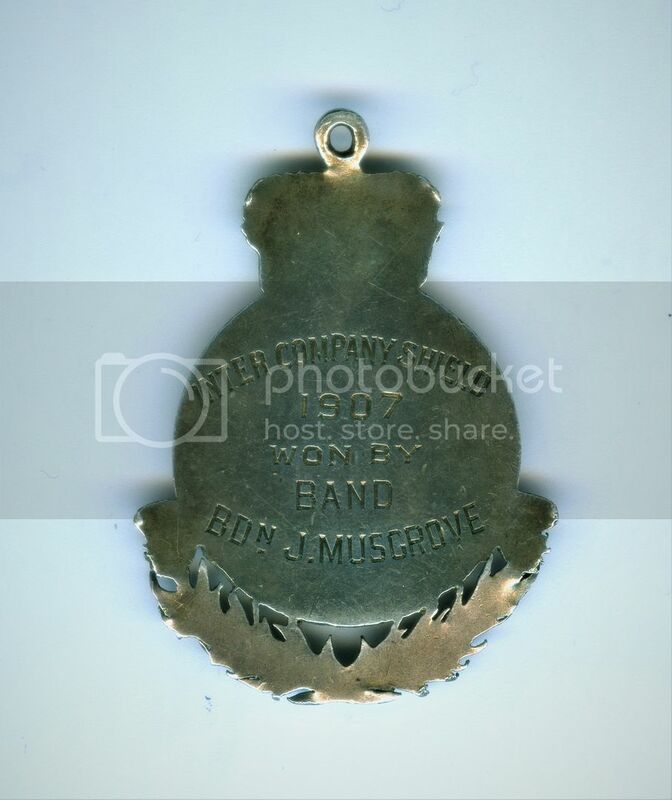 This one awarded to bandsman Musgrove, 1st Bn were at the Curragh in 1906. 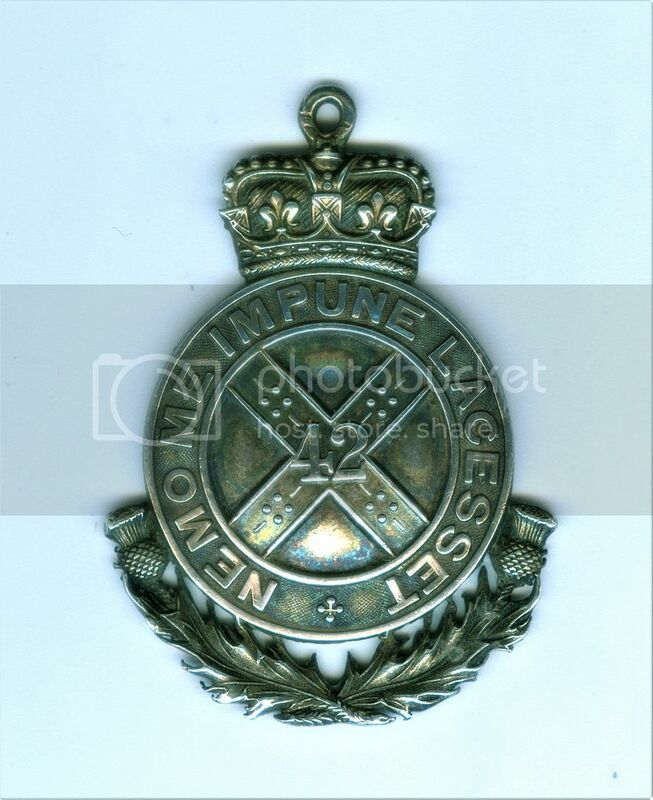 A Burnley man, he enlisted between the 8th and 14th of September 1903 and was a bandsman. By the outbreak of war he was a reservist and went to France with the first contingent of the 1st Btn. Wounded at Aisne and home recovering by 17/10/1914. Again wounded at the Marne, about 26/01/1915, by a shell collapsing trench on him and crushing his back and arm, he was recovering in the Second Southern General Hospital, Southmead, Bristol in the February. His wife resided at 4 Eastham Place, Burnley. His daughter was born the day he arrived home on furlough after his first wounding. She was named Catherine Marne Musgrove, her middle name marking his place of wounding. Thank you for that information I am very grateful. You are correct about Hugh Buchannon I miss read the H for M.
Where did the pic of Musgrove come from? It's from the 10/02/1915 Burnley Express. Anodised aluminium sporran badge in unopened packet of issue. Dated 14.5.15. Desc R.HIGHLAND FUSILIERS SPORRAN.? Silver identity bracelet and chain (clasp broken). Stamped Major NK Millar 96293 Black Watch RHR, reverse is stamped sterling. 2/Lt. 30/8/39; Lt. 2/3/41; T/Capt. 24/4/42; wounded with the 7th Bn. at Alemein; Capt and T/mAJ. 15/12/43. 1st (City of Dundee) VBRH, prize shooting spoon. Assayed in Birmingham 1906 by James Fenton maker. This example engraved on the stem D.L.B, it is the centre item in this group.